Instead of our usual group meeting in San Jose this coming Thursday, let’s instead meet on a Sunday afternoon in Cupertino. 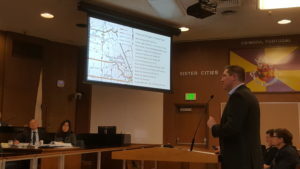 There, Better Cupertino will host a public meeting on regional planning, and what must be done to solve the Bay Area’s transportation, housing, and infrastructure maintenance needs. Register for the FREE meeting here. This will give the hosts a proper headcount. GETTING THERE: Cupertino Community Hall is 1.5 blocks south of Stevens Creek Blvd. and S. De Anza Blvd. It’s a 5-10 minute walk from VTA’s 55 bus line at S. De Anza Blvd and Sunrise Dr. It’s also a 10-15 minute walk from the VTA’s 23 and 323 limited stop bus lines at Stevens Creek Blvd. and S. De Anza Blvd. I’ll see you all on October 29 in Cupertino. 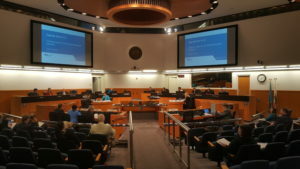 VTA staff member presentation at Santa Clara City Council Feb. 7. The week of February 12 will be of note in parts of San Jose and Gilroy. The Santa Clara Valley Transportation Authority (VTA) will hold the last three (3) public meetings for its “Next Network” transit service restructuring proposal on Feburary 13, 15 and 16. The meetings start at 6pm and last about two (2) hours. VTA has published additional information on your input regarding the “Next Network” so far. For transit in Silicon Valley, 2017 is off to a fast start. In addition to changing its logo, colors, and tagline, the Santa Clara Valley Transportation Authority (VTA) is holding meetings in January and February to take your input on its “Next Network” bus and light rail service restructuring proposal. Recall VTA’s prior bus service restructuring in 2008 which has been documented, as a guide. If approved by the VTA Board of Directors in April, changes will take affect this fall. 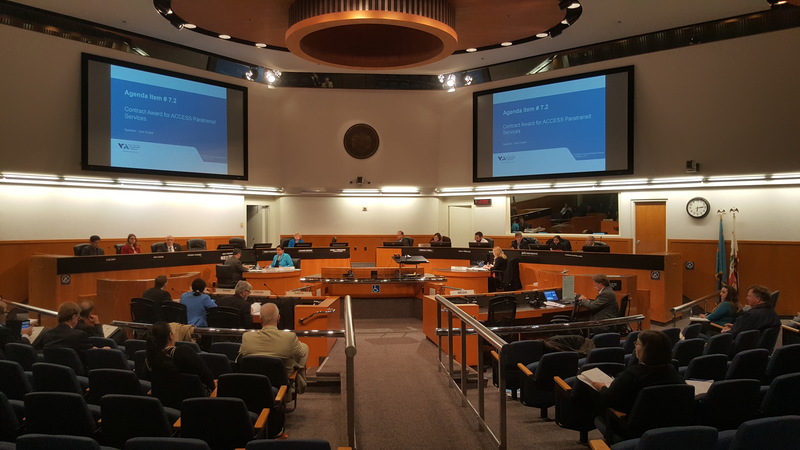 Public meetings have already been held in cities like San Jose and Milpitas, with more to follow until the end of February. More on the VTA’s “Next Network” proposal – and some of our thoughts on it so far – are below.